Black Ops 4 is a new and interesting take on the Call of Duty Black Ops series. This installment of Call of Duty is more focused on multiplayer, as Black Ops 4 contains no formal campaign, and instead focuses on its zombie mode and multiplayer battles. While the lack of a formal campaign was a bit surprising to some, Black Ops 4’s variety of multiplayer modes, its zombie mode, and new battle royale mode more then make up for the absence of a campaign. The game also supports split screen, allowing you and friend to play online or offline together on the same console. Overall, Call of Duty Black Ops 4 is a solid multiplayer game with immense variety that definitely deserves a spot on this list. Assassin’s Creed Odyssey is an open world stealth action game that takes place during the Peloponnesian War. The player takes the role of either Alexios or Kassandra, mercenary warriors whose personalities vary depending on how you play the game. While the game does have a story to it, the player is given a large amount of freedom, allowing you to explore the large and fascinating world around you. Assassin’s Creed Odyssey also has a fantastic combat system that lets you customize your character’s weapons, armor, and abilities to suit your playstyle. Overall, Assassins Creed Odyssey’s fantastic graphics, interesting story, and great combat system make it a game to remember in 2018. Monster Hunter World is an action role playing game that allows you to hunt and slay ferocious monsters. As a monster hunter, you’re tasked with going to the New World, a recently discovered land that is crowded with powerful monsters. While in the New World, you can battle a variety of beasts and monsters, each with different looks, abilities, and difficulties. After defeating a monster, you can harvest it and use the monster’s materials to craft stronger weapons and armor for yourself, allowing you to face greater challenges. 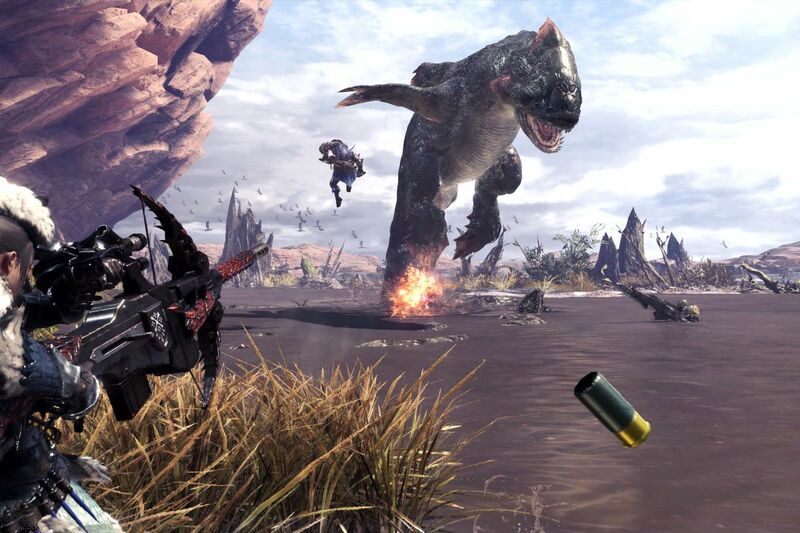 Monster Hunter World also has a variety of weapons to choose from, each with a unique and interesting play style. My one critique of the game would be an underdeveloped story, which took away from the fun gameplay. 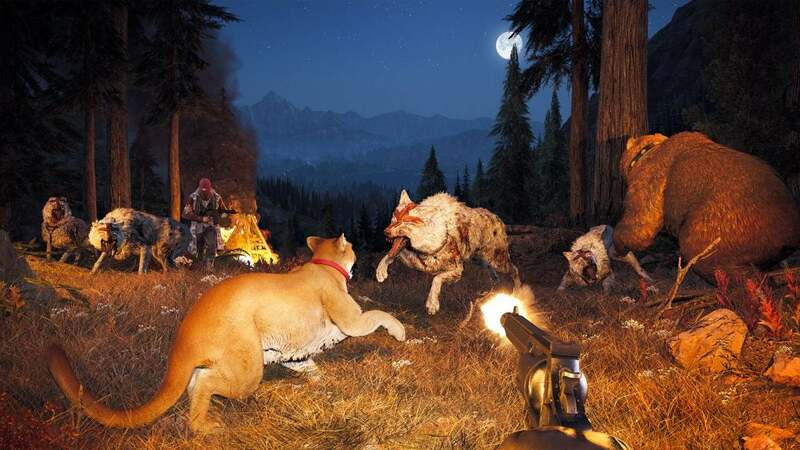 Far Cry Five is open world action shooter that takes place in fictional Hope County, Montana. You play as the Deputy, a member of the Hope County sheriff’s department who tries to liberate the county from Eden’s Gate, a large and violent cult that is preparing for Judgement Day. As the Deputy, you roam around Hope County’s massive open world, freeing civilians, completing missions, and destabilizing Eden’s Gate wherever you go. The game has a large number of fun side quests to complete, which can reward the player with money. The game also has a unique group of characters, each with their own interesting personalities and backstories. The fun that comes with Far Cry Five does not end with the story, as the game’s arcade mode lets you play on custom player-generated maps, allowing for almost infinite replayability. 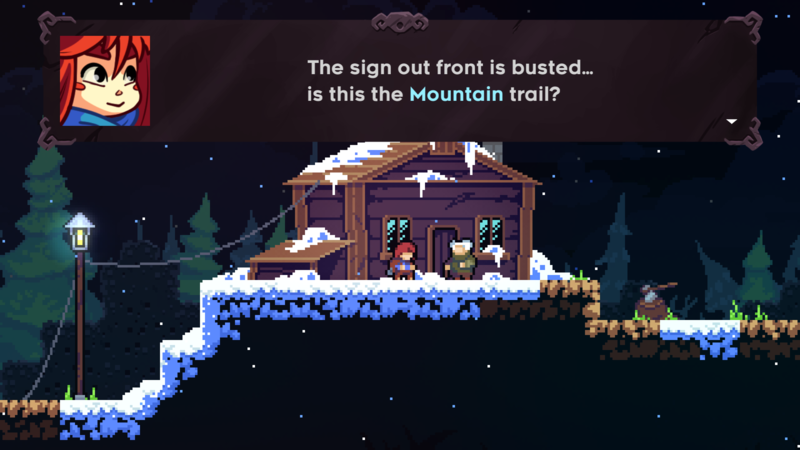 Celeste is an indie platformer game that is being celebrated for its pixel art style and engaging story. In Celeste, you play as Madeline, a young woman struggling with depression as she tries to climb Celeste Mountain. Along the way she encounters numerous platforming challenges, which require you to jump and dash with speed and precision. These challenges begin to grow more difficult as you continue through the game, and the levels gain more and more hazards that can spell certain death for your character if you’re not fast enough. These levels are also accompanied by Madeline’s development as a character, as she encounters new friends and faces her own dark reflection. Overall, Celeste’s interesting and emotional narrative, fun but difficult gameplay, and beautiful pixel art style make it a game to remember. Forza Horizon 4 is the eleventh installment in the series, an open world racing game with a variety of cars, races and multiplayer options. With over 400 cars to choose from and the ability to create your own races with your friends, Forza Horizon 4 gives you countless play options. On top of that, Forza Horizon 4 also includes changing seasons and weather conditions, which make no race or play session exactly alike. The sheer amount of variety and replayability makes the game a fun and memorable experience. Super Smash Bros Ultimate is a crossover fighting game featuring characters from different Nintendo series, along with a few from other companies. With 76 playable fighters and echo fighters with more downloadable content on the way, Super Smash Bros Ultimate has the biggest roster of the entire Super Smash Bros series. This large and unique roster is paired with 103 stages to play on, along with a variety of different game modes and activities. Super Smash Bros Ultimate also includes a new story mode, which challenges the player with unique and difficult battles. Overall, Super Smash Bros Ultimate is a fantastic fighting game with tons of replayability and a fun story mode. Marvel’s Spider-Man is an action adventure game that allows players to swing through the streets of New York as the one and only Spider-Man. Set eight years after Peter Parker became the famed crime fighter, the game focuses on trying to reclaim New York City from a variety of classic foes such as Mr. Negative, Electro, Rhino, Scorpion, Doctor Octopus. Along the way, Spider-Man can participate in side quests for rewards and gain new combat skills and suit abilities, which can give you the edge in later battles. The game is also accompanied by a fluent and responsive combat system that makes the game even more of a blast to play. In God of War 4, you play as Kratos, the former Greek god of war, as he travels to ancient Norway and battles against monsters and gods from Norse mythology. In this installment of God of War, Kratos is accompanied by his son Arteus as the two embark to spread the ashes of Kratos’ wife on the highest peak of the Nine Realms. Along the way, the pair encounter numerous beasts from Norse mythology such as Wulvers and Draugurs, along with Norse gods such as Baldur, Modi, and Magni. God of War 4 also includes a variety of side quests and puzzles. 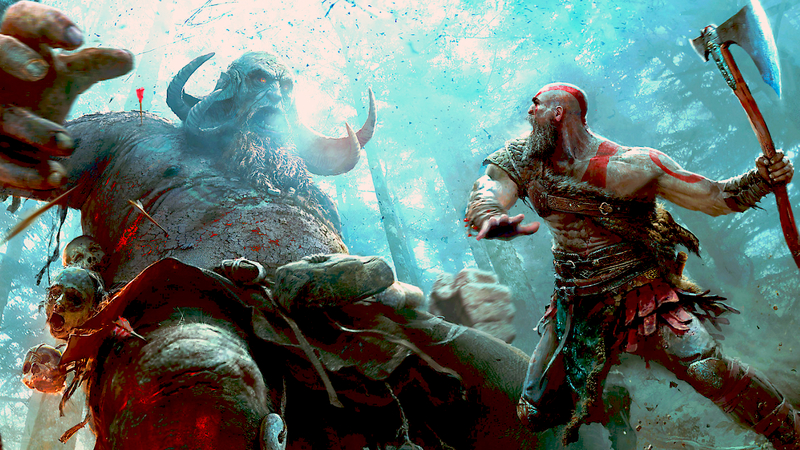 This story is coupled with a fluent combat system that focuses on Kratos using his Leviathan Axe and Guardian Shield in a variety of combos and deadly abilities. Overall, God of War 4’s excellent story, combat system, and puzzles make it one of the greatest games of 2018. Red Dead Redemption 2 is an open world action shooter developed by Rockstar Games. You play as Arthur Morgan, a sharpshooting outlaw that rides with Dutch Van Der Linde and his gang. After a failed robbery in the town of Blackwater, Dutch’s gang suffers huge losses, and is forced to flee to avoid incarceration. The game then focuses on Arthur and his fellow allies trying to rebuild the gang’s funds so they can head West and escape the law. While on this mission, Arthur is involved in train robberies, old scores, lost loves, feuding families, and an ever-changing America that wishes to destroy his way of life. As you go through the game, you get to interact with your fellow gang members and learn about their pasts and personalities, each different and interesting in their own way. Along with the game’s intriguing story, Red Dead Redemption 2 also includes a large open world and a number of side quests and activities that can give you money and special rewards. The game also includes a fast-paced combat system that focuses on swift and steady aim and using the environment as cover. Overall, Red Dead Redemption 2’s fantastic story, interesting characters, numerous side quests, and gritty combat system make it the best game of 2018.